Official Lineage OS 14.1 ( Android Nougat 7.1 ) ROM for ZTE Axon 7 has now arrived via an OFFICIAL build. 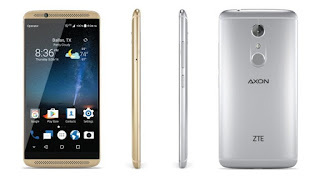 ZTE Axon 7 The phone comes with a 5.50-inch touchscreen display with a resolution of 1440 p. The ZTE Axon 7 is a dual SIM (GSM and GSM) smartphone that accepts Nano-SIM and Nano-SIM. Connectivity options include Wi-Fi, GPS, Bluetooth, NFC, 3G and 4G. 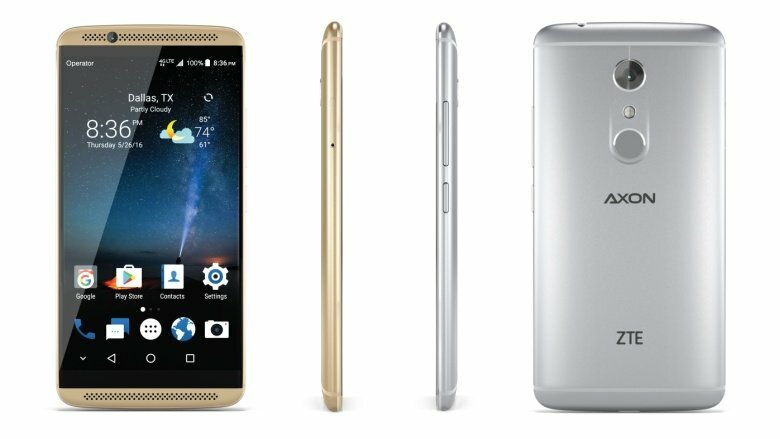 The ZTE Axon 7 is powered by 1.6GHz quad-core Qualcomm Snapdragon 820 processor and it comes with 4GB of RAM. The phone packs 64GB of internal storage that can be expanded up to 128GB via a microSD card. As far as the cameras are concerned, the ZTE Axon 7 packs a 20-megapixel primary camera on the rear and a 8-megapixel front facing camera. If you want some more Lineage ROMs or wanna taste the Latest OFFICIAL Lineage build then stay tuned the Official Lineage OS 14.1 ROM collection page. As always, this Lineage 14.1 for your device is brought to you by CDO. Official Lineage OS builds are now rolling out to supported devices. We’ll be actively updating the download links. Lineage OS is much more improved and have some unique features of its own. Users preferred CM ROMs over stock OEM ROMs because of the customization features. Also, the official Lineage OS builds is very reliable and can be used as a daily driver. Installing a custom ROM on a mobile requires the bootloader to be unlocked on this mobile phone, which may VOID your warranty and may delete all your data. Before proceeding further you may consider backup all data on the phone. You are the only person doing changes to your phone and I cannot be held responsible for the mistakes done by you. This is new [Official] Lineage os 14.1 [Android 7.1] firmware has to be installed on the ZTE Axon 7 model only; if tried on other devices, it might get bricked [To check your device model: Go to Settings >> About phone >> model number]. Step 2: Place the downloaded [Official] Lineage OS 14.1 [Android 7.1 ] Nougat ROM and Google Apps into the phone’s storage memory. Step 3: Turn off the device. Step 4: Perform Recovery mode sorties by long pressing Volume Down + Power key Simultaneously. Step 5: Once entering the TWRP Recovery menu, clear phone’s memory (full) by selecting ‘Wipe’ option. Once done, select – ‘Swipe to Factory Reset‘ perform factory reset. Step 6: Return to TWRP Recocery menu and tap ‘Install’ and Select Downloaded Lineage.Zip file. Step 8: Flashing of the ROM begins and after few minutes, a message ‘Successful’ appears on the screen, thus completing installation. Step 9: Return to TWRP Recovery settings and tap ‘Install’ this time Select Downloaded GApps.Zip file in the phone’s memory. Step 11: After few minutes, a message ‘Successful’ appears on the screen, thus completing Installation. That’s it! Your Smart phone should now have Official Lineage OS 14.1 ROM installed ! Go to Settings > About phone to verify.